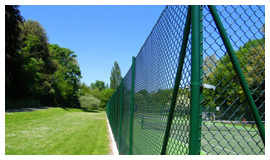 For all-weather sports surfaces and tennis court construction and maintenance services in Guildford, look no further than our vast knowledge and expertise here at Sovereign Sports. We construct tennis courts and other high quality sporting surfaces to SAPCA and LTA standards and regularly offer our services to local clubs, councils, schools and private homes across Guildford and the South East. Contact us today for a free quotation as well as friendly, reliable advice and information dedicated to letting you know all there is to know about your upcoming sports surface construction project. We specialise in the construction of new tennis courts and sporting surfaces as specialist contractors and our MUGA surfaces are widely used throughout Guildford and its surrounding areas, especially in schools, local clubs and private homes. Our no obligation site visit give us the opportunity to look at the designated construction space you have chosen and provide you with all the information you need. Tennis courts are hugely popular throughout the South East and in Guildford and our all-weather tennis courts, including the open textural macadam surfaces, are highly sought after. 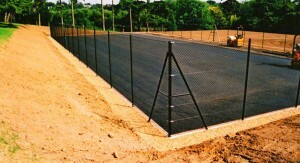 Some of our other surfaces include synthetic grass for sports such as football and hockey, alternative tennis courts such as artificial grass and synthetic clay and high quality MUGA surfaces that include Matchplay 2 synthetic, multi-sport and 3rd Generation FIFA 1 Star equivalent standard pitches. 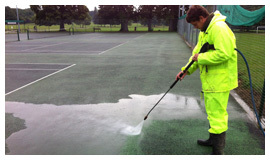 If you have an existing court or sporting surface, Sovereign Sports offer a wide range of specialist maintenance services that ensure your tennis court or sporting surface remains in the best possible condition. We can freshen up synthetic grass surfaces with our specialist brooming service and colour spray discoloured surfaces for a like-new finish. We also sweep and clean surfaces of rubbish, litter and leaves before power washing to clear open textured surfaces of moss and improve slip-resistance. 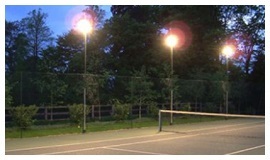 Our retractable and static floodlights are the perfect installation for tennis courts and sporting surfaces regularly used overnight or during the winter. You may require further planning permission for your floodlight installations if you also require the installation of columns. 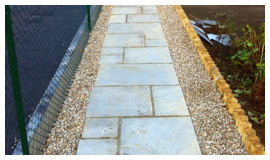 Some of our additional services include practice walls, personalised fencing, retaining walls, paths, patio areas and landscaping. 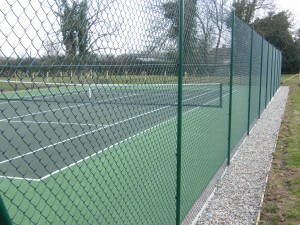 To find out more about our high quality MUGA sporting surfaces and synthetic tennis courts, or to discuss some of our additional services including surface renovation, maintenance or artificial grass in Guildford, call Sovereign Sports today on 01634 684 235 or fill in the form provided below and we’ll get back to you as soon as possible.